The National Association of Broadcasters (NAB) is rebranding its Content & Communications World (CCW) event, which will now be called NAB Show New York. The show attracts 7,000 attendees annually and showcases a full range of next-generation technology for media and entertainment professionals. NAB recently unveiled the new logo and tagline for NAB Show New York, "The Essence of NAB. The Power of NYC," which reflect an expanded focus that leverages the strength and penetration of NAB Show, while adding breadth and value to the event for an enhanced attendee and exhibitor experience, according to the group. 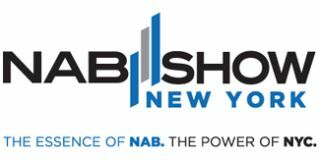 "We are excited to bring the NAB Show brand to the thriving New York City media and entertainment market," said NAB president and CEO Gordon Smith. "The goal for the new brand is to enhance the experience for all attendees while making the event unique to New York, a mecca for the media and entertainment community." The NAB Show, held each April in Las Vegas, attracts 103,000 attendees and features more than 1,700 exhibiting companies. NAB Show New York enables attendees to experience a more intimate and focused setting, while the New York locale offers a gateway to Europe and the entire globe as well as easy access for the East Coast region of the U.S.
"We intend to retain many of the features that have contributed to CCW's success, such as accessibility, community, and the ability to efficiently get business done," said Chris Brown, NAB executive vice president, conventions and business operations. "The new brand, however, will allow us to leverage the strength, leadership and content connections of NAB Show and take it to a new level by offering more innovative programming, attracting new markets and driving deeper engagement among attendees and exhibitors."